Prototype 0: New Huayra delivered in Saudi Arabia! 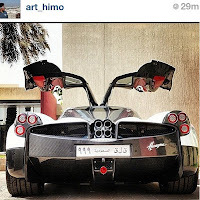 New Huayra delivered in Saudi Arabia! A new Pagani Huayra has been delivered in Saudi Arabia. 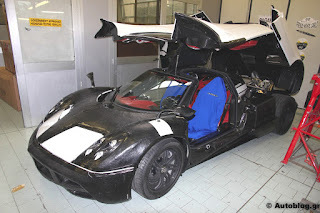 The car has been spotted previously at the factory with test mask and tapes by autoblog.gr then it appeared on the socials Facebook and Instagram on the road in Saudi Arabia.
" 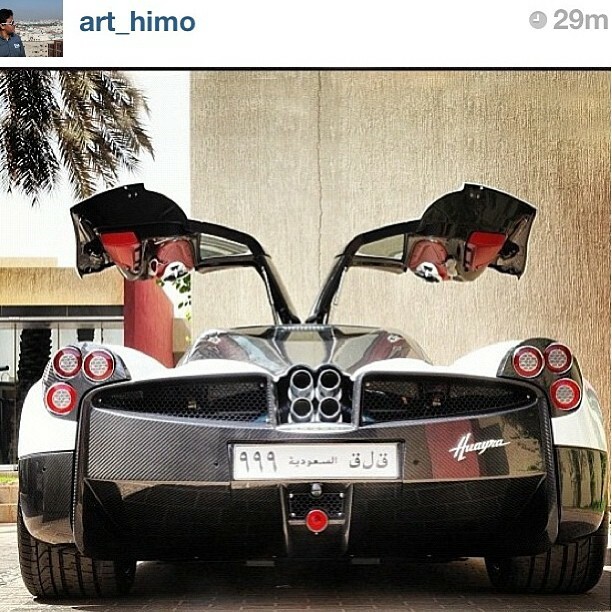 Yazeed Al-Rajhi (The Saudi Arabian rally driver) is officially the first owner of Pagani Huayra in Saudi Arabia. 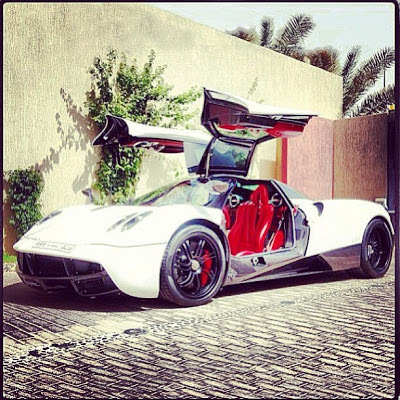 Al-Rajhi did a great job on choosing the color, the white and red color combination on this Huayra looks absolutely stunning. We are expecting to see this beauty in Europe this summer. " The car should be chassi N°15 and it is configured in the classic two tone combination white pearl with carbon fiber roof and side skirts, black wheels and red brake calipers. The cockpit is in red leather with some carbon fiber finishes.